From the motorway exit ramp Stuttgart-Feuerbach, drive in the direction of Ditzingen. 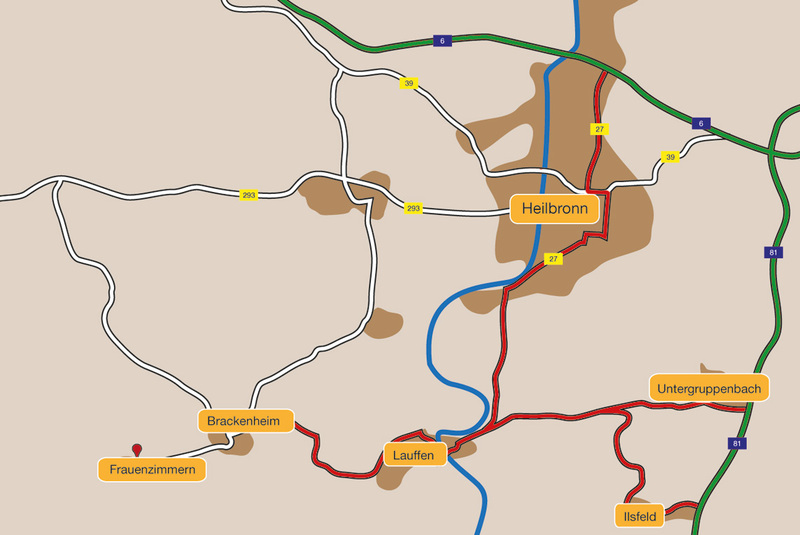 Continue through the town in the direction of Hirschlanden on the L1177, then straight ahead on the L1136 towards Hemmingen and at the end of the town of Schöckingen, turn left into the industrial area. Take the first street on the right (Daimlerstrasse). 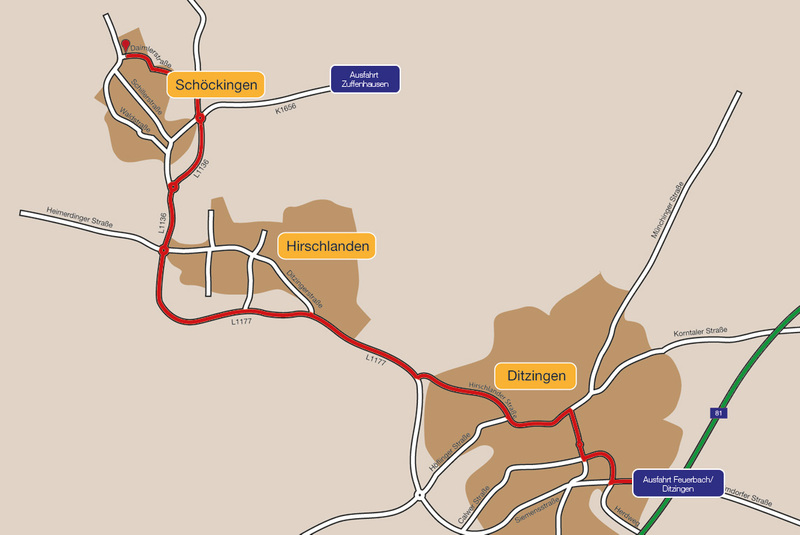 Here you can download the route discription to Hinz GmbH in Ditzingen-Schöckingen. Drive through Heilbronn towards Lauffen. In Lauffen, drive towards Brackenheim - through Brackenheim in the direction of Frauenzimmern. You'll find us here at Langwiesenstraße 14. Drive towards Lauffen, then through Lauffen in the direction of Brackenheim - through Brackenheim in the direction of Frauenzimmern. Drive through Ilsfeld towards Lauffen. In Lauffen, drive towards Brackenheim - then through Brackenheim in the direction of Frauenzimmern. Here you can download the route discription to Hinz GmbH in Güglingen-Frauenzimmern.